The success rate of in vitro fertilization (IVF) procedures still remains relatively low, at only around 30%. The high emotional, health and financial costs associated with having to undergo the procedure multiple times has driven the need to develop more efficient methods of assessing the development potential of embryos to ensure that only those with the highest potential are selected for IVF treatment. In their article Advances in embryo selection methods for F1000 Biology Reports, F1000 Faculty Member in Development Biology Magdalena Zernicka-Goetz, and her Associate Faculty Member Anna Ajduk, compare the various methods currently used for assessing embryonic viability and discuss novel procedures based on advanced time-lapse imaging techniques. These new methods show signs of promise for increasing the efficiency and success of IVF treatments. The authors argue that by developing more reliable methods of assessing embryonic quality, single embryos can be selected for transfer, which could reduce emotional costs, limit the impact on the health of mothers-to-be and improve the overall efficiency of the procedure. The authors say that reliable selection of high quality single embryos can be achieved by combining current screening methods with non-invasive time-lapse imaging techniques. Commenting on her findings, Magdalena Zernicka-Goetz said: "This is a very effective, rapid and non-invasive way of assessing the health of mammalian embryos. 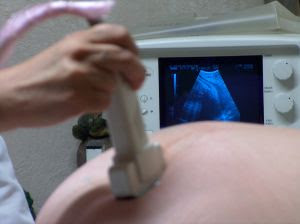 I would be delighted if it can save the lives of human embryos, and I believe it should when applied in the IVF clinic." Evidence of improvement in live birth outcomes still has to be determined by testing these methods in a clinical environment and subjecting them to randomized controlled trials; however, they offer great hope for more reliable assessment of embryonic quality and more efficient IVF treatments. -- A survey, undertaken specially for this book, shows that 40% of women earning $50,000 or more a year are childless at age 45. So why is the age-old business of having babies so very elusive for this generation of high-achieving women? Why is it that all the new power and prestige does not translate into easier choices on the family front? It seems that women can be astronauts, CEOs, Secretaries of State, but increasingly, they cannot be mothers. Sylvia Hewlett's powerful book looks at the hard and disturbing facts and goes on to advocate a new way of approaching the question of motherhood vs. career for a new generation of women.